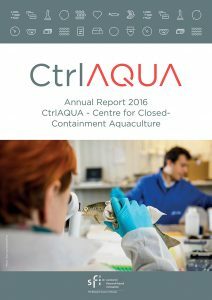 In its second year, scientists, farmers and technology suppliers at the CtrlAQUA Centre have researched and acquired new knowledge about farming in closed-containment aquaculture systems. Such knowledge will contribute to the Centre’s ambition to make closed systems off-the-shelf products. Through several large-scale trials we have now demonstrated that closed-containment aquaculture systems can be a solution to the sea lice problem. We have found few lice – in most cases no lice – in the systems we have tested. We have a large portfolio of systems in CtrlAQUA, and we have tested land-based systems with recirculation of water (RAS), as well as different types of floating closed-containment aquaculture systems in the sea (S-CCS). Other benefits we have demonstrated in 2016 are that more farmed salmon in such systems survive up to 1 kilo and they grow just as well. We study micro-parasites like viruses and bacteria, in two types of S-CCS and in RAS. 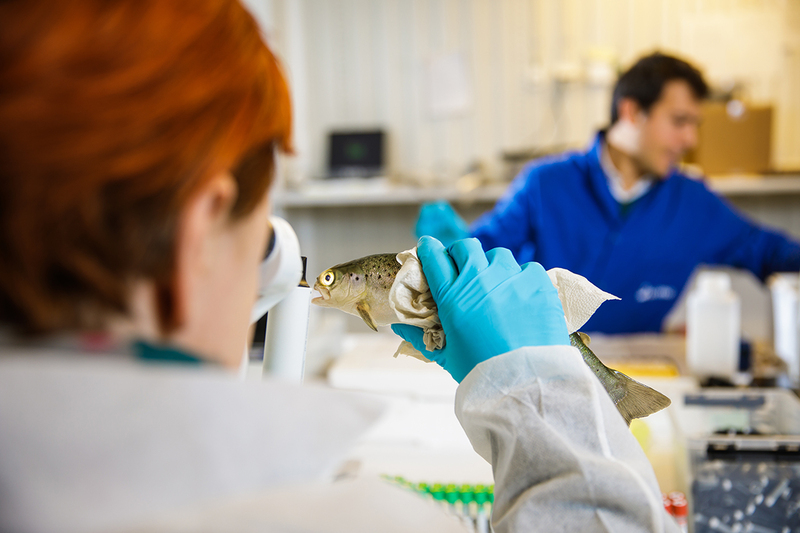 Once these trials are completed, we have a valuable data set that will be a useful tool for further research and for controlling disease outbreaks in closed-containment aquaculture systems. We have gained insight into how particles in the water affect the salmon. Surprisingly, it is not always best to have the least possible concentration of particles. More research is needed. To minimize production costs in closed-containment aquaculture systems, high fish density is an advantage, but this must not be detrimental to the welfare and health of the fish. We have measured this and found that the choice of technology as well as the water quality affect the level of density that the fish tolerate. 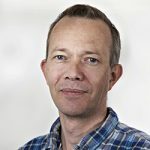 Our researchers have also found that salmon skin provides information about tolerance of both fish density and technology, and acts as a living sensor. We have experienced challenges with hydrodynamics, i.e. the flow of water and particles in the water, in the largest tanks used in closed-containment aquaculture. To solve this, we have developed computer-based flow models of the type used to construct new aircraft and ships. These models are valuable in further research on how to construct large vessels for closed-containment aquaculture systems. In the annual report you can also read interviews with three industry actors at the centre as well as four students, and hear their experiences and opinions about aquaculture in the future.